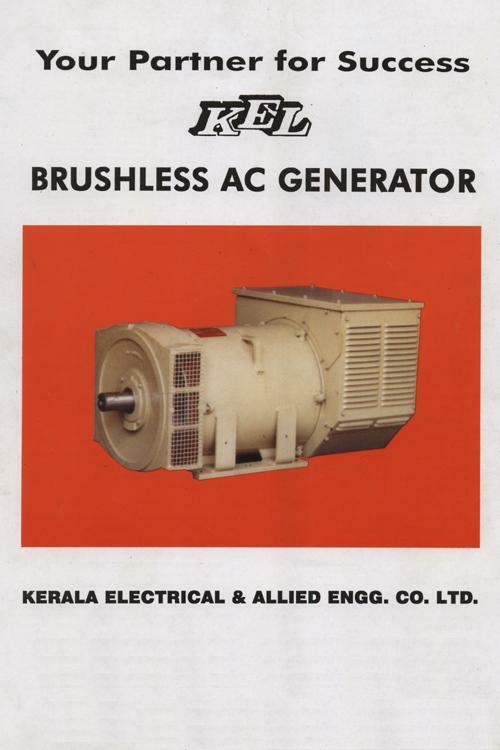 KEL(KERALA ELECTRICAL & Allied ENGG. CO.LTD) is govt of Kerala enterprise. KEL is engaged in manufacturing Brushless Alternators(LeroySomers technology France), thus pioneering excellence in engineering, quality,design and process. KEL is manufacturing Alternators for all major Equipment Manufacturers(list given below). Deepankuram Services are authorized Exclusive Dealers for KEL Alternator & Dealers for Transformers in most Gulf and African Countries. The KEL's R&D Test center is well equipped to carry out Alternator development, performance optimisation of alternators and validation of product reliability. 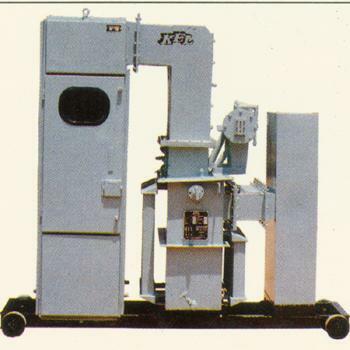 Modern computerised test facilities are used to monitor to the requisite parameters. Besides the dedication and commitment of its work force has reflected favourably in the quality and standard of the products that roll out from KEL's manufacturing facilities. 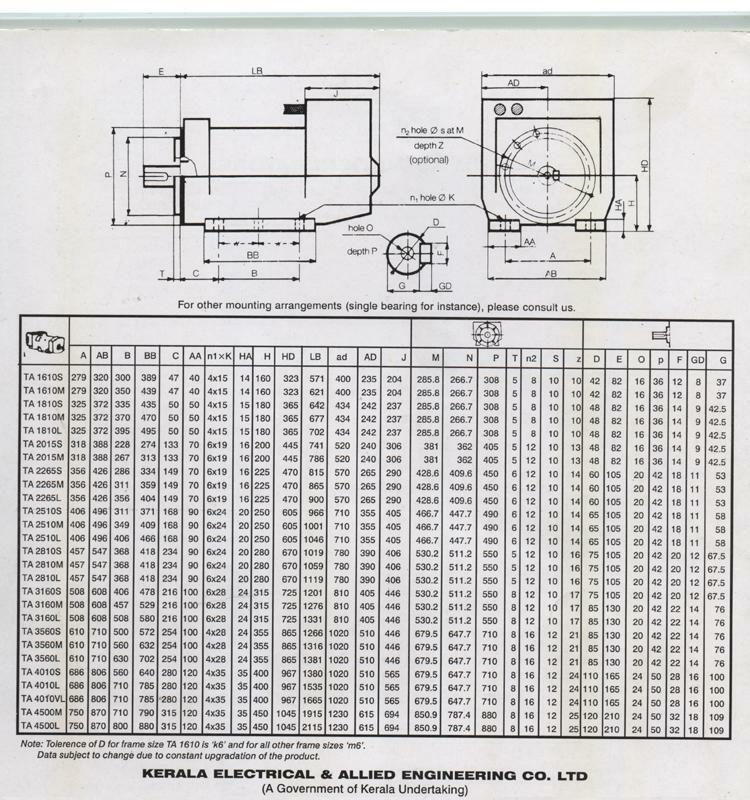 Special Alternators are manufactured as per Specifications of customers and KEL has a team of Designers who take up day to day challenges for designing special case alternators. The latest one being suppplied to Triveni for suppling power to Load balancing machine having 600 V and Thyristor based loads. Apart from being the choice of leading domestic alternator manufacturers, KEL is rapidly gaining acceptance in the international arena as well. KEL alternators are being wide range of applications primarily Genset and Steam,Hydro,Gas Turbines, Notably we have supplied Alternator for Steam Turbines in and around Asia for Sugar Mills. 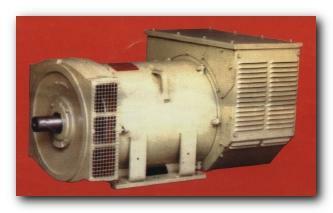 Vertical Alternator till 300 KVA are manufactured for Hydro Turbine Application. These components are mounted at the rear of the alternator in a substanstial terminal box. 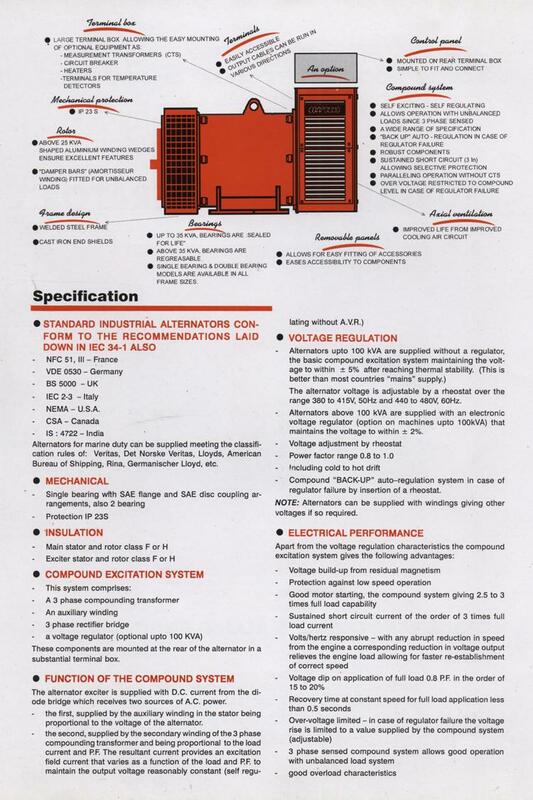 - Power factor range 0.8 to 1.0 - including cold to hot drift - Compound "BACK-UP" auto regulation system in case of regulator failure by insertion of a rheostat. Note Alternators can be supplied with windings giving other voltages if so required. - Good motor starting, the compound system giving 2.5 to 3 times full load capacity. - Sustained short circuit current of the order of 3 times full load current. - Volts/hertz responsive - with any abdrupt in speed from the engine a corresponding reduction in voltage output releives the engine load allowing for faster re-establishment of correct speed. - Voltage dip on application of full load 0.8 P.F. in the order of 15 to 20%. - Recovery time at constant speed for full load application less than 0.5 seconds. - Over voltage limited in-case of regulator failure the voltage rise is limited to a value supplied by the compound system(adjustable). - 3 phase sensed compound system allows good operation with the unbalanced load system. Core: Special non aging CRGO silicon steel laminations are used for the cores. The core laminations are interleaved clamped and taped to reduce vibration and noise as well as to provide excellent mechanical strength.Eddy current losses are reduced by coating the laminations with suitable insulation.The cores are effectively earthed. Coils are wound with electrolytic,high conductivity, paper covered with copper conductors.Spiral disc and cross over types of windings are used giving due consideration to the thermal,electrical and mechanical aspects. Strong self supporting coils are made by anchoring the turns using tapes.Adequate horizontal and vertical ducts are provided to ensure that the temperature gradient between the windings and oil do not exceed the limit and no hot spots are developed. 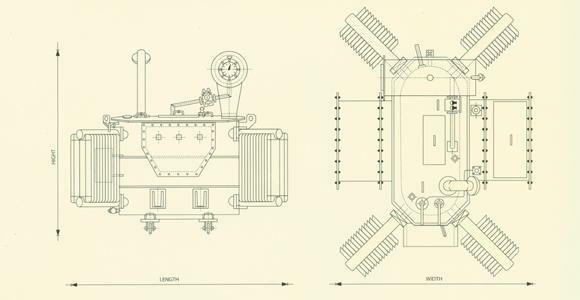 Tanks: The transformer tanks are made of mild steel sheets and plates of adequate thickness. They are pressure tested to make it leak-proof. The inside of the tank are coated with oil resistant varnish/paint after thorough cleaning. The outside of the tanks are given a single coat of anti-corrosive zinchromite primer to make it corrosion resistant and two coats of high quality synthetic enamel paint of dark admiralty grey in glossy finish for total weather-proofing. TAPS: Tappings are normally provided in HV windings at +/- 5% of the rated voltage in steps of 2.5%. However, any other tap range as per customer specification can be provided. OIL: Transformer oil confirming to IS:335 is used as the coolant and insulating medium. The transformer are supplied after topping it up with filtered transformer oil. ASSEMBLY: LV winding is placed next to the core and HV winding is placed condentrically around the LV winding.Press board and Kraft paper are used for insulation. The inter-turn and lnter - layer insultions are designed for specific impulse level.Special care and attention is given for the insulation between HV and LV winding and LV winding and core.After assembly of the coils,they are dried in electrically heated drying oven and allowed to shrink ao that the dimensions do not change during service. TERMINATIONS: The terminal arrangements are provided as per customers requirements. Fittings: Generally the transformers are provided with all the fittings specified in IS : 1180 or IS:2036. The standard fittings are as follows: . Rating & diagram plate . Silica gel breather . Oil level gauge . Earthing terminals . Explosion vent . Drain value . Filter valve . Thermometer pocket . Lifting lugs . Conservator with drain plug and filling plug etc. Accessories like Buchholz relay, oil sampling device, oil temperature indicator, winding temperature indicator etc., are provided on request. Testing: The tests are conducted as per as per IS 2026 and test certificate is issued for each and every transformer. Sophisticated equipment like sine wane generator, high voltage transformer and other precision measuring instruments are used for testing. The following tests are conducted: . Measurement of winding resistance . Ratio, polarity and phase relationship . Insulation resistance . Impedence voltage and load losses . No-load losses and no-load current . 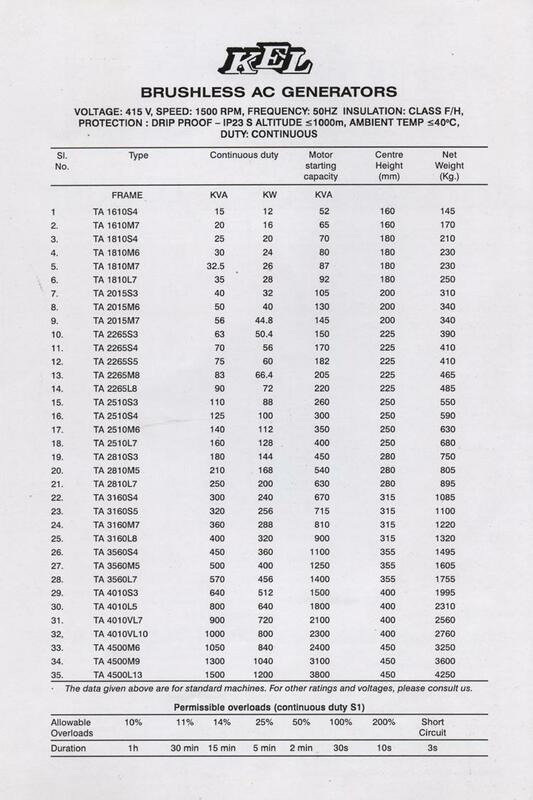 Separate source voltage withstand . Induced over-voltage withstand. Type tests: Type tests like impulse test, short circuit test and temperature rise test shall be arranged upon request. All standard designs upto 1600 kVA are successfully type tested. Despatch: The transformers are generally despatched with all mountings fitted and the oil filled. But large transformers are despatched with some of their fittings supplied separately for ease of transport. Despatch can be made by road and/ or rail. Special Transformer: In addition to the standard range of transformers, special transformers such as rectifier transformers, furnace transformers, transformers with on-load tap changer, R.M. U and compact sub-stations etc., can be designed and manufactured as per requirement. PRODUCT RANGE: Oil filled off- circuit distribution transformers. 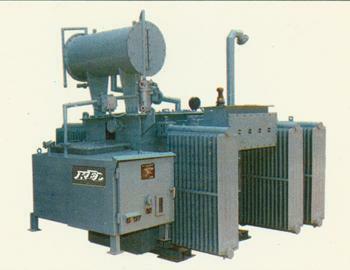 Oil filled on load tap changer(OLTC)transformer with voltage regulater. Unitised substations with oil filled or dry type transformers. Disclaimer: The above Specifications/Content are from KEL catalog and we do not hold responsible for any data variance.